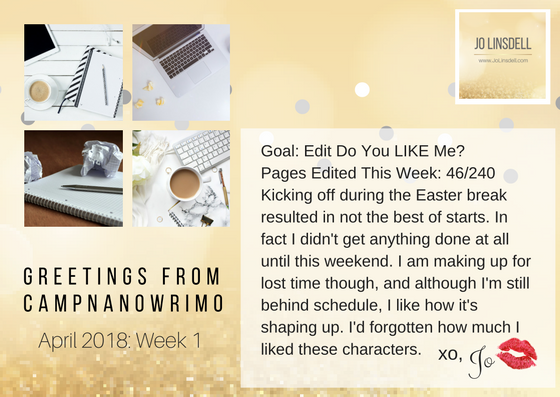 It's now the end of the first week of CampNaNoWriMo and so time for a progress report. The goal: To edit Do You LIKE Me? Starting a challenge when the kids are off on Easter break doesn't end in the best results. That said, I'm making up for lost time. I might even manage another session before bed tonight and so could actually manage to get back on schedule. My manuscript currently stands at 240 pages which means I need to edit 8 pages worth a day in order to meet my goal of editing the whole thing by the end of the month. As you can see, I managed 46 pages so far. Not brilliant but also not bad considering I didn't start until this weekend. 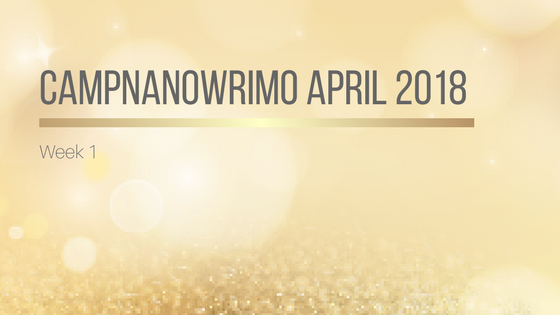 I wrote the first draft during the November NaNoWriMo challenge (and yes, I did win with over 50K in 30 days :)). As you might expect, there is a fair bit of editing needed. Minus the typos, I'm actually quite pleased with it though. No major cringe moments yet. 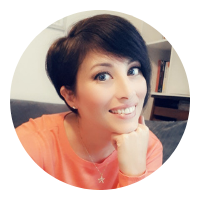 Are you doing CampNaNoWriMo too this month? What's your goal? Good luck. I think it's a very realistic goal. I thought about doing Camp NaNo but then forgot about it until three days ago. I've been writing a lot anyway so I don't feel so bad. Thanks. I usually use the NaNo challenges for writing first drafts but I have far too many manuscripts that need editing. CampNaNo is great for that. I'm feeling good about reaching my goal at the moment.